I have a new Analytics setup. The first thing I do is to set the Log Database connection. It's an Oracle connection. The user I use to connect is the schema owner. Last Edit: 06 Oct 2016 16:44 by Shamil. Removing Runtime definition keeps Log Database connection working. This is the behavior of 2.2.0_RC4. 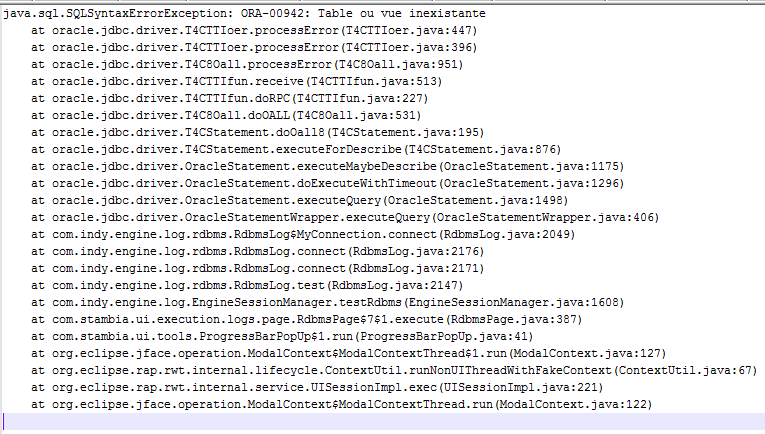 This is normal: Analytics tests that the connection to the database works, AND that the Runtime's log tables exist in this database Schema. At first the tables do not exist.